Breathtaking city views, gorgeously manicured grounds, and an incredible location are just a few of the wonderful features that await you at Verdir at Hermann Park, our premier community of apartments for rent in Houston, TX. Every day will feel like vacation as you unwind beside the sparkling water of our refreshing swimming pool, relax and socialize in our lavish resident clubhouse, and get your heart racing in our fully equipped fitness center. With amazing extra features like poolside Wi-Fi access, a convenient media lounge, complimentary coffee bar, and beautiful outdoor resident lounge with fireplace, our apartments have everything you’re looking for. 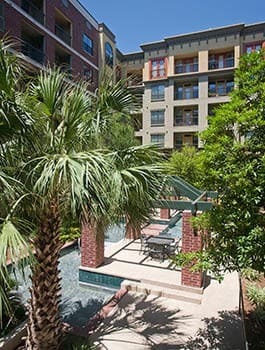 Come get the most out of your living experience at Verdir at Hermann Park apartments in Houston, TX.